In this current climate of hate and intolerance, Freedom’s Hand depicts just how bad it could possibly become. This post first ran in 2013. I wrote an early draft of my recently published thriller, Freedom’s Hand, many years ago—out of anger. So why an emotion like that as a catalyst for writing a novel? Let me explain. My parents were Eastern European Jews who immigrated here in the early twentieth century. I was raised in New York City in a predominantly Jewish, lower-middle-class neighborhood in The Bronx, not long after the end of WWII. Among our many neighbors were men and women who had survived the Nazi Holocaust, although I didn’t know anything about it at the time, nor did I understand why many of these people were so timid, or surly. I especially had no idea why they had all these numbers on their arms. Nope, back then no one would ever talk about it, not even my parents. It took me a long time to find out about the extermination of European Jewry—as well as millions of non-Jews—and it was doubly shocking to learn that members of our own family had perished in the camps. To say that this enraged me would be an understatement. Years later, after I “became” a writer, I first channeled that anger into a story called, “The Number People.” Check it out. Yet that wasn’t enough. After WWII many Jews uttered the mantra, Never Again. But while there was no repeat of the Jewish Holocaust, it is evident that hate is always present. Think Russian gulags; think genocides in Rwanda, Bosnia, Darfur, Cambodia, and so many other places. People suffering and dying in droves in the name of warped ideologies leap out from the news headlines almost daily. 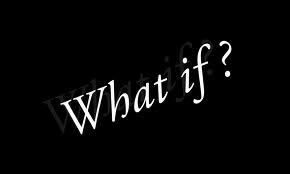 And so the writer’s What If kicked in for me: What If someone had enough hate in him to destroy all of the Jews, African Americans, Latinos, Asians, gays, and all other minorities in this country? What If that person visualized a concentration camp, modeled after Auschwitz, on American soil? What If that individual had the means to carry out his designs, even subsidizing a mercenary army—called Freedom’s Hand—of like-thinking racist thugs? And finally, What If the main characters, a Jewish family kidnapped by Freedom’s Hand, included an elderly man who, decades earlier, had survived Auschwitz? My initial attempt entailed only a proposal: a couple of chapters and a synopsis. Even that was difficult to deal with, as my early research included the day-to-day hell of life in a concentration camp, and well as getting into the head of someone capable of creating something like this. But I got through it, and my then-agent, after shopping it around, suggested I finish the book, as he felt pretty confident that Simon & Schuster would take it on. So I reluctantly did—and they didn’t. Something about it being too controversial. Imagine that—ME, controversial. 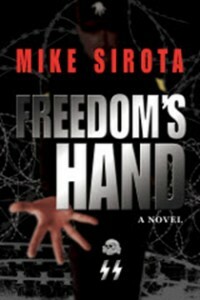 Freedom’s Hand, my award-winning thriller, is available from Amazon on eBook and in paperback.